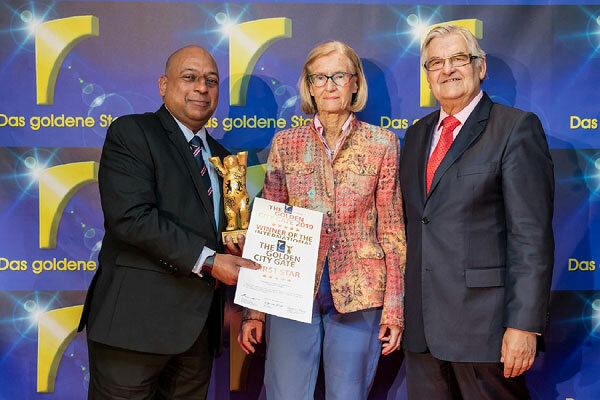 SriLankan Airlines recently took home three accolades at Golden City Gates Awards 2019 at ITB Berlin, the world’s largest tourism trade fair. The 19th edition of the awards saw a jury of 40 members judging over 148 submissions sent by 32 countries. SriLankan Airlines was awarded a First Star award in the ‘Airlines- corporate’ category for its product video, another First Star for its India Outbound video in the TV Cinema spot category and a Third Star award in the same category for its Melbourne Marathon video 2018. Last year, SriLankan Airlines was awarded a ‘first star’ in the campaign category for its Melbourne launch campaign “Two Cities, One Spirit.” It also bagged a ‘second star’ in the same category for its brand campaign in China-themed “The Spirit of China, the Story of Sri Lanka.” The third, another ‘second star’, was bestowed upon SriLankan for its video “The Largest Carrier to India” in the TV Cinema spot category. SriLankan Airlines has been aptly supported by its creative agency, J Walter Thompson Sri Lanka in all these creative endeavours. The latter’s creative expertise and the understanding to align with the global trends have made its association with an international airline truly remarkable and award-winning. The collaboration with weWine films in creating the visual narrations has brought in novel perspectives that are found appealing and effective by the discerning audience, the airline said in a statement.